December 18, 2018, marked the 21st anniversary of the late, great comedian Chris Farley's death. From his landmark casting on SNL to roles in films like Tommy Boy, Farley was one of the most beloved comedians of the 90s, along with SNL cast members like Adam Sandler and David Spade. 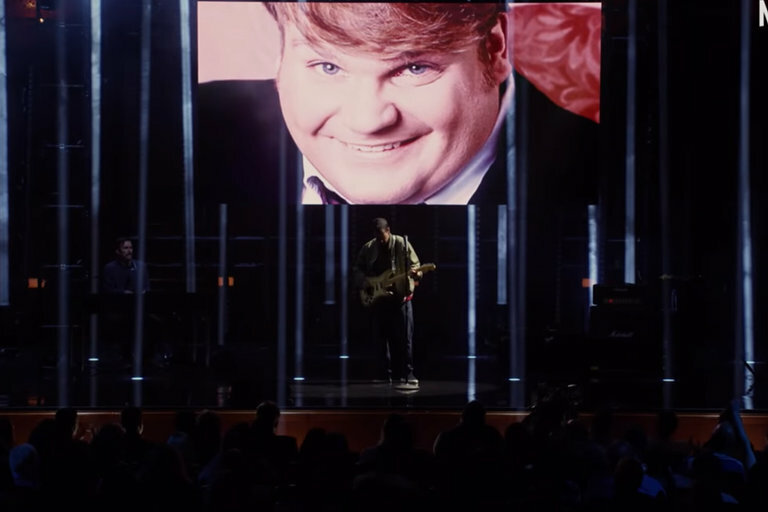 Adam Sandler paid tribute to Farley in his most recent Netflix comedy special 100% Fresh in the best Sandler way possible — with a song.